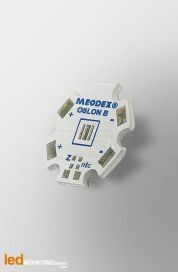 This STAR MCPCB is an exclusive design and is manufactured by LED Mounting Bases Company. 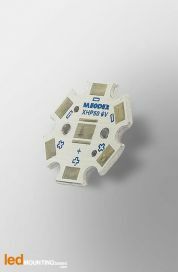 This printed circuit board with Aluminum base has been developped for Intematix x3535 . 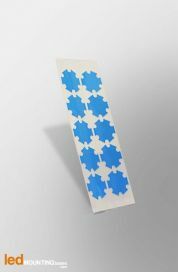 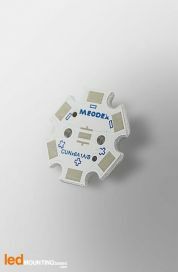 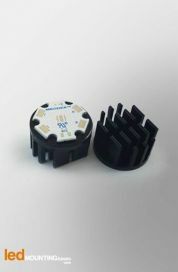 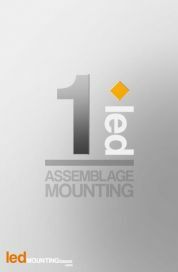 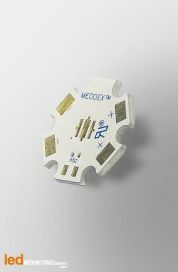 The S-2W-1-INT-C35-000-S IMS (Insulated Metal Substrate) allows you to quickly create your prototypes of LED modules based on Intematixx3535 LED at reasonable price. 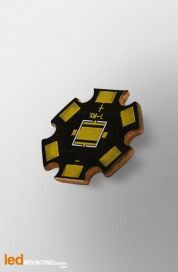 With it’s high thermal conductivity of 2 W/mK , this printed circuit board is able to drain the heat of the LED components to he Aluminum base, which is ideal for LED lighting. This Metal Core PCB is manufactured with UL certified Aluminum substrates.